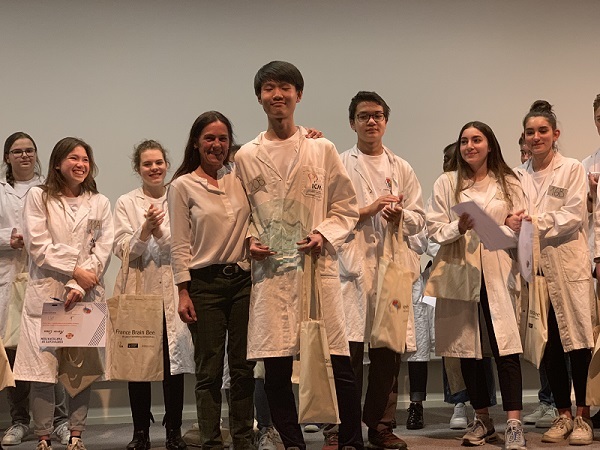 On Saturday, April 6th, 21 students competed in the France Brain Bee, a neuroscience competition where students are tested on their knowledge of the brain. The France Brain Bee, hosted and sponsored by the ICM Brain and Spine Institute in collaboration with Gifted in France, is an affiliate of the International Brain Bee (IBB). 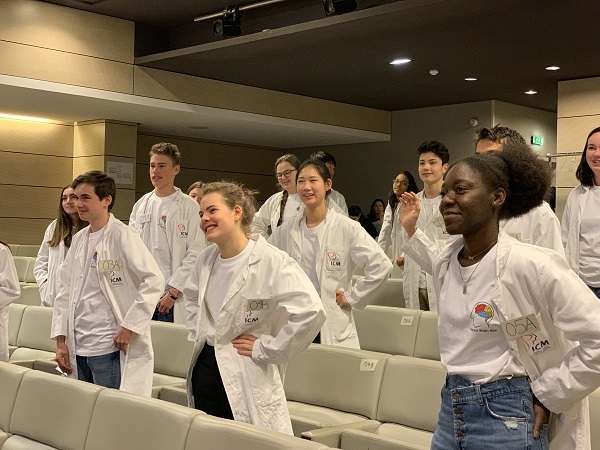 The research centre and not-for-profit based in Paris, France, aim to encourage high school students to learn more about their brain, help dispel stigma around neurodegenerative diseases and psychiatric disorders and pursue careers in neuroscience. This programme is part of ICM’s new education and training centre, the Open Brain School. Kicking-off the day, contestants participated in an ice-breaking session to ease the nerves. 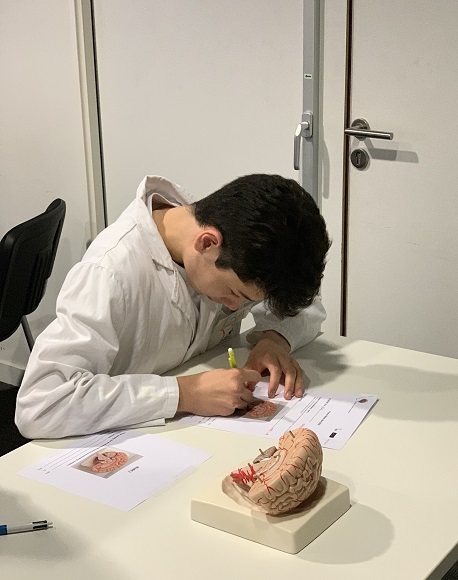 The competition then ensued with four stages: A Written Quiz, Patient Diagnosis, Neuroanatomy Identification and Rapid Question and Answer section. Five finalists were chosen from the first four rounds to compete in the final Jeopardy Stage. Top 5 contestants were: Seung-Bin Joo and Amélie Haloxová both from the International School of Paris. Jihee Cheong from Ecole Bilingue Victor Hugo, Nora El Doughbshy from Lycée Louis-le-Grand and Maryam Ali from the American School of Grenoble. First place winner Seung-Bin Joo, in addition to a trophy, was also awarded a one year complimentary membership to the American Library in Paris, a two week internship at the ICM Brain and Spine Institute and paid travel expenses to participate in the International Brain Bee Championships. Winners from over 25 countries will be eligible to compete in the IBB, which will be hosted by the International Brain Research Organisation (IBRO), during their World Congress in Daegu, South Korea, 19-23 September. IBB is a non-profit educational organization consisting of partnerships with the American Psychological Association (APA), the Dana Foundation, the Federation of European Neuroscience Societies (FENS), the International Brain Research Organization (IBRO) and the Society for Neuroscience (SfN). Many of the students present had been studying hard for several months! 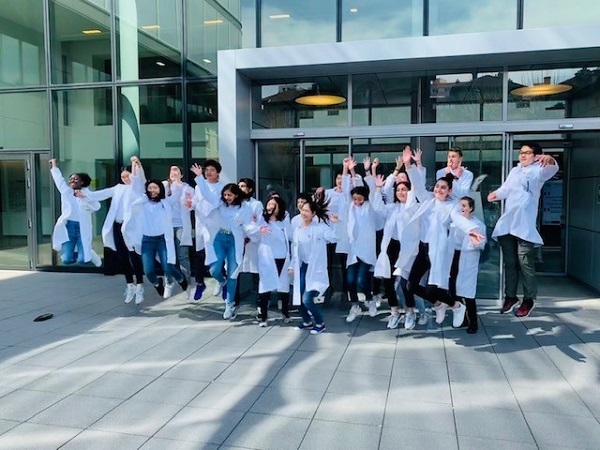 Fourteen students came from six different schools in Paris: ISP, EIB Victor Hugo, Ecole Jeannine Manuel, Collège Pierre et Marie Curie and Lycée Louis-le-Grande; 6 students came from the American School of Grenoble, and one student is homeschooling in Paris. To be eligible, students had to be in grades 9-12th grade (3ème- terminale) and register by February 28th. The questions at the competition were based on the Brain Facts: A Primer on the Brain and Nervous System book, which is free and available for download to all interested students. We look forward to sharing news about the 2020 France Brain in the weeks and months ahead. To sign up your students or schools for the next France Brain Bee, please contact: francebrainbee@gmail.com or visit francebrainbee.org.